Down Today | Outlook and Hotmail problems? 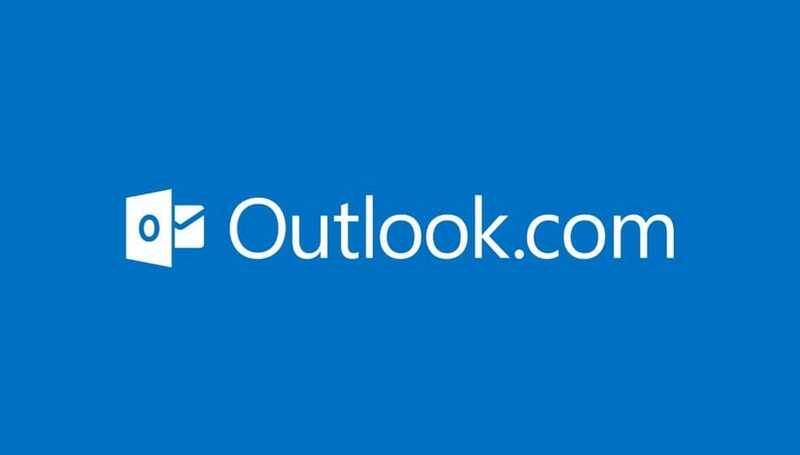 If you are running into Outlook or Hotmail problems, then you might find the service totally down today via their website, Android and iOS apps, or through other services. If Outlook.com isn’t experiencing an outage, you could be having sign-in related issues with their log-in box other than password errors. You might know Microsoft’s free e-mail service as Windows Live, or Hotmail, and your problems could be far from simple with more complicated issues in regard to receiving or sending messages. Whatever your issue, take a look below to see the latest status reports that would reveal if the Outlook / Hotmail email service is totally down today, or having minor problems. Those of you with problems might want to leave feedback for others. If Outlook is down today, then reports will be found below. I can’t receive important acknowledgement emails. WHAT’S happening with hotmail? hotmail is not working in Michigan City Indiana. It worked this morning but not now at 2pm. I’ve been having a lot of sign in problems with hotmail for about the last month or so. I hope they fix these problems real soon. I cannot get signed into outlook or hotmail. This started with the last update,first i tried my password only to be told it is wrong. After this happened several times i clicked change password. Then my problems really started no matter how many times i tried to log in, now it seems i have been locked out for a month even after i used the support service and its forms. I no longer trust microsoft and currently i have bought an iphone and will now buy a mac. Since windows 7 they have got worse. (WERE MAKING WINDOWS BETTER FOR YOU WITH THIS UPDATE IT WILL BE WORTH THE WAIT) absolute joke goodbye windows Dustbin man heres a laptop. Wow that was a quick fix, back on. Down today in the Bridport area. Microsoft so called security has gone overboard for my wife has gone through their procedures to renew her hotmail account password . This has to be done a a large number of security questions. Once this is okayed they send a FOUR digit code to my account which is not hotmail in order for her to gain entry. Sadly, they come back that it should be a SEVEN digit code. Is Hotmail down right now? I can’t login. I couldn’t access Outlook on my Windows OS ,Luckily I have a Linux system on a backup HD .I was able to log in with that system !? can log in but emails don’t send and can’t add attachments. need this for work. why is this happening?? Message preview and typing not reflecting instantly. Problem since last two week. ? Any one can give its solution or how to switch over latest version of hotmail in to classic version. I can see my emails and open them but the content of the emails wonâ€™t display. It just says â€œloadingâ€ but nothing in fact loads. Using hotmail on my iPhone6. Still unable to sign into Hotmail constantly saying password is incorrect when it is not. Seriously becoming a joke now and Microsoft need to fix this as soon as possible. Cannot access no emails at all on my windows laptop, the Outlook android app and the Gmail app on Android. Does anyone know when this will be fixed? So frustrated!! Login problems for me. 3 different computers and 3 different browsers on each. Can access one email account with the built in app on windows10 and can access via smartphone. error: 401 – Unauthorized: Access is denied due to invalid credentials. Been having log in problems for most of the week. Got round it previously by using link in browser history. Not today though!. Getting same “401 – Unauthorized: Access is denied due to invalid credentials” msg as others have reported,despite using a previous hassle free email and password. Phone and tablet O.K.,just desktop not cooperating. Haven’t been able to sign into Hotmail since last night. I’m getting the following error: 401 – Unauthorized: Access is denied due to invalid credentials. You do not have permission to view this directory or page using the credentials that you supplied. What’s going on? Unable to log in my hotmail account. Is there any solution. I need to log in urgently. Even tried other browsers too. Plz help ! me too! managed to check my email at 8ish but at 10ish, cant log in. gave me credential error page. even resetted password but cant log in with new password. me too! managed to chek my email at 8ish but at 10ish, cant log in. gave me credential error page. even resetted password but cant log in with new password. is there a problem with hotmail log in. cannot log in since morning. It show error. I get – Server Error: 401 – Unauthorized: Access is denied due to invalid credentials. It was working fine until about an hour ago. Got a call from ooooooooooo that my hotmail account had errors. But had no issues whatsoever. I can’t sign in my emails. I have stopped receiving emails. Nothing since the 12th September. Does any one know what is happening? I get that message today – how did you resolve it? “Entered email is not verified. Please check your email id”. How weird is this, i can sign in on Safari but not Goggle Chrome. Each time I try a pop up shows up. Keeps taking back to the sign in page though so in nutshell not working peeps. I have tried different browsers and yet still outlook is down for me. Not able to log in to my hotmail account, server IP address could not be found and breatheeeeee. hi, my Hotmail account, both App based and online are saying that my account does not exist. Is there a general problem or something i should worry about? Help support will be gained from contact listed. Hope to find you good, I am writing you because i have some issue regarding login my OUTLOOK account. Today morning when i tried to login, its showing your account is suspended because of unusual activity even i am using for official work. Need your cooperation in this regards and your quick action will be highly appreciate. Hotmail is stuck processing forever and bringing my computer to a crawl. My android emulator has no trouble accessing hotmail. on my Mac Book but can read my hotmail on my phone and iPad. I have taken it off my MacBook, cleared the preferences, history etc. Please accept our sincere apologies for your disappointment in accessing your Emails. We are extremely concerned to read your comments with regard to your overall experience. It is always our highest priority to us to ensure that our product consumers are satisfied at all times. We would greatly appreciate to allow us for opportunity to speak with you personally. Anyone else having problems sending and receiving emails with their hotmail account? You’re currently signed in as ****@hotmail.com. Please sign out, then sign in to Outlook with the account you use to read your organization’s email. I was not able to solve it. But yesterday I suddenlay was able to log in and I access to my mail. Very Strange. This morning again I was not able to log in and Had again to verify via an adult mail. Very instable environment. I receive emails, but cannot send. Part of the system shows hotmail account online, and the advanced system shows offline??? Hotmail/outlook Account sign in problem. Password Recovery. Send & Receive Problem. Is there a problem with hotmail i haven’t been able to recieve emails. so annoying, works to read one email then goes down again, faff about getting it to open then same thing over again. My email do not work. @sdfjhsuidkh:disqus Why i can’t sign in. Keep getting message cannot connect to server?? Just checked on my email. I am getting that MSSPError message. I did hear that Hotmail was being “shuddered up” and everything was converting to Outlook, but this is pretty sudden. I can’t login to my hotmail account, what’s wrong? HELP!!!!!!!! Same here. Feels like the old hotmail is being deconstructed. Won’t let me sign in to my account. Keeps saying something went wrong and takes me back to sign in again. Please help! I went to sign into hotmail and it is asking me to create a new account or sign in when I try to sign in it just keeps asking me to create a new account. I get this error MSSPError=-2146233088. I am unable to use Contact lists to send email to multiple addresses. This problem started recently. They are using some beta version to update. Outlook -problem with sign in for over a week- when are they going to fix this? Once again exactly a week later unable to view emails, send do anything with msn/outlook account. What the F is going on MSN!!!!! @@disqus_A7aPYTs1dR:disqus Please fix the problem.I live in Ohio in the USA. Ever since Thursday my Outlook email has had a message in Black at the bottom saying that, “Your outlook. com (Outlook) account is disconnected.” this is on my Samsung Galaxy Note 5. My computer is down so I can only access anything on my phone and on my tablet. It has an option next to the message saying it’s disconnected saying the word “fix.” I’ve gone through every freaking step multiple times trying to verify my own identity and it will not let me at all. I get to the part where you have to have a code sent to an alternate email or through text or phone call. It has my number ending in 43 when it ends in 09. I don’t understand that at all. I have not changed my phone number. I need to be able to use my Outlook and Microsoft account because I use it for my DirecTV now streaming service and need it to be able to log in if it’s ever accidentally logs out. I’m not paying $35 a month for something I can’t access, the directvnow. And I can’t just create a new email address because I have my more important emails sent to my Outlook email instead of my Gmail email. What is going on? It was already giving me trouble on Wednesday and forced me to have to reset my password which has always been the same for my computer and email for years and I know it is the right one. I made it so I can’t forget it. So I had to go to the irritating process of resetting my password and I reset it to the one that it already was. I had to try it over and over and over again just to get the new password to work and let me in. And then I find out on Friday when I try to look at my emails that my last email was Wednesday when I changed my password and I got that black message at the bottom of the screen saying it’s disconnected. I really rather talk to a person if possible. I’m starting to get angry because all the troubleshooting I’ve tried needs me to log into Microsoft Outlook to be able to troubleshoot which I can’t do. I can’t log into it at all in the first place which is the problem. Getting very angry. Not able to login on my hotmail. why am i getting something went wrong message? Still going through outlook problem?? error messages.Cant acess my account to see my e-mails. what happened? is outlook down in gainesville, Va. I am totally unable to access my email. Can anyone help me please ! tired with outlook problems. today, struggling with sign in problem. having outlook/ hotmail problems in your area?